The bones around the ankle can be broken by severe twisting stress or vertical impact. This is an acute traumatic injury which can happen at any age. If the ankle joint is displaced, it is a fracture-dislocation. Damage to the bone’s cartilage surface within the joint is called an osteochondral fracture.Injury to the talus, fibula or malleoli can cause cartilage or bone fragments to break off and form loose bodies in the ankle joint. Osteochondritis dissecans is a particular type of damage in a bone’s cartilage surface, which happens especially in teenagers. In young children whose bones are still quite soft, fractures are termed ‘greenstick’. A bone fracture can be surprisingly painless at first, and may seem no worse than a sprain. You may be able to put your weight on the foot. However, in a bad break there is acute pain, usually accompanied by swelling, bruising, perhaps bleeding, and visible deformity of the leg. Walking is painful or impossible. The ankle feels weak and becomes stiff. You may have throbbing pain at night or when you sit still. In the later stages you may notice a deep aching in the bones, which is a sign that they are healing. A broken ankle can be caused by a fall, a wrench with the foot stuck in the ground, landing awkwardly from a jump, or a direct blow. Compression fractures happen more easily if your ankle is stiff or taped rigidly. You are more vulnerable to fracture if your bones are weakened by calcium deficiency, disease or osteoporosis. You should receive immediate treatment in hospital. You may need surgery to stabilise the broken bones. Otherwise your leg may be immobilised in a plaster cast or a splint from the foot up to the knee or hip. In the early phase of healing, during the first ten days or so, the bones start the process leading to union, which normally happens after six to twelve weeks. Once the broken bone ends are joined together, the bones strengthen up and become slightly enlarged. Over the following months the damaged bones remodel themselves and gradually resume their normal shape. 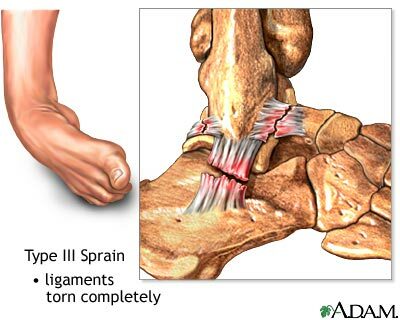 Call +65 6471 2674 (24 Hour) to see our doctor and seek treatment regarding ankle fracture today.